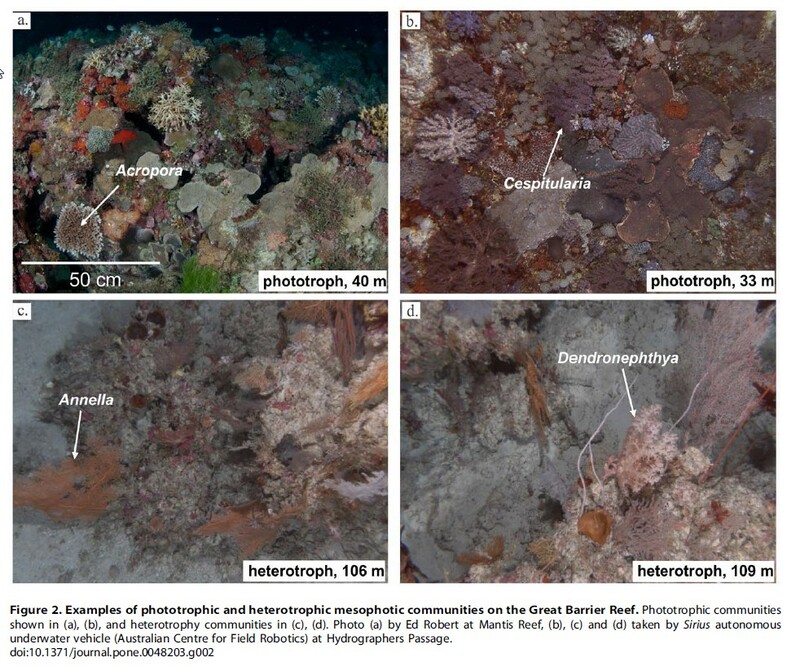 Mesophotic Coral Ecosystems – A lifeboat for coral reefs? Source: Bridge, T., Beaman, R., Done, T., and Webster, J., 2012, Predicting the Location and Spatial Extent of Submerged Coral Reef Habitat in the Great Barrier Reef World Heritage Area, Australia: Plos One, v. 7, no. 10, p. e48203. Hi All, check out the interesting article in the Huffington Post on a new report on Mesophotic reef systems just released by the UN. This is a very comprehensive report that was edited by our own GRG’s Elaine Baker and Peter Harris (UN) and summarizes the current state of knowledge on these fascinating systems. The report also features a case study on the mesophotic reefs in Great Barrier Reef by our GRG collaborator Tom Bridge. You can download the full report from here.